My Digital Studio Birthday card. Actually I made a bunch of these Birthday cards to have on hand . The Happy Birthday on the front & and also the Birthday Wishes on the inside are using the Sale-a-Bration Digital Content CD which you can pick for FREE from the Sale-a-Bration mini catalog HERE . Here is a photo of the inside It's the same design I made for the front and carried lover to the inside . I must admit this is the very 1st card I made with MDS and I really love it . Guess what even though I added the inside design the costs for printing was the same if I would have left it blank on the inside which is $1.99 and get this when you have SU! print them you also get envelopes for your cards .. AWESOME!! I will be making alot more cards with MDS and Hopefully one day I will get good enough and make a video for you on how to use your MDS for making cards .. Its very addiciting and I LOVE it ! Thanks for peeking in on your busy Monday . I love your card! Crumb Cake is also my favorite color! 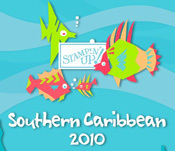 Stampin Up made a good choice bringing that color into their collection. I love using MDS- and love how you did this card- it would be so easy to make out of paper and stamps, too! Usually I see a paper card and try to re-make it using MDS so this is the first time I have seen a MDS card and thought about making it out of stamps! 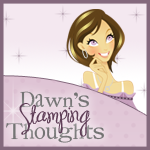 Hi Dawn, I'm not sure if you know this, but I follow you just about every day because I LOVE your stuff. Now for this MDS card you made. Again, I LOVE it! I don't have the MDS and have been thinking about getting it but I've been concern about the printing part of the program. So how does all that work and the card still look like a homemade card? I So hope you dont stop making regular cards.. SO excited to see you using MDS!!!! Looks great! Thanks for your sweet words today:) Miss you!!!! Wow, when I saw this post, I had no idea that you would send this to me for my birthday!